We offer both dry cleaning and traditional washing services for oriental and natural fiber rugs on our premises. We understand the benefits of solvent cleaning to preserve the delicate dye sights of rugs constructed with natural fiber. Many rug manufacturers recommend dry cleaning to preserve the delicate dye sights, vibrant colors, and the softness of the yarn. 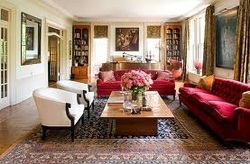 However, we also wash oriental rugs, paying special attention to stains and soiled areas. We can re-fringe rugs if necessary. 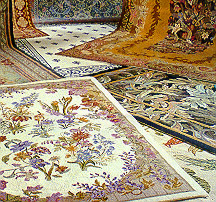 We offer a pick-up and delivery service, although rugs may be dropped off at our plant for cleaning. There is a five day turn-around on most Oriental and natural fiber rugs. Our knowledgeable office staff can tell you more about our Oriental Rug Cleaning Services. For personalized service, please call us at 201-796-1844 between 8:15AM - 5:00PM Monday thru Friday or email us at cameoservices@yahoo.com.